The main gate to the former Portuguese administration area. 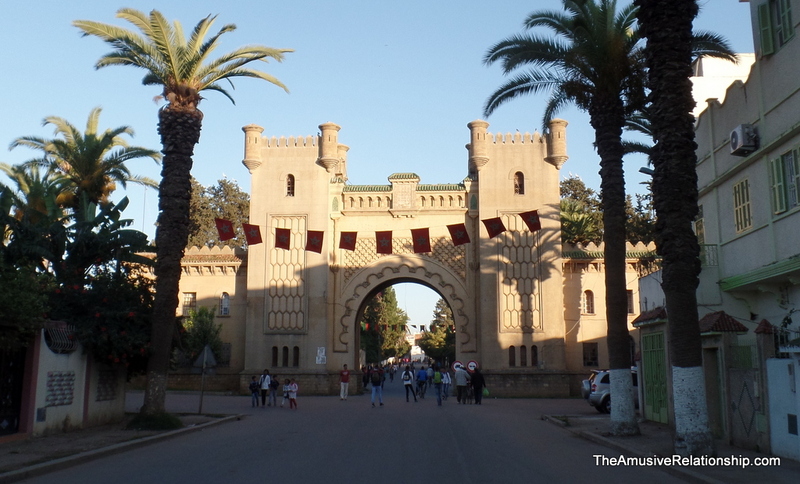 In Northern Morocco, within the peninsula that juts north toward Spain, is a small city called Ksar el Kebir, Arabic (القصر الكبير) for “large fortress.” It is located among the rolling hills that lie before foothills of the Rif Mountains. Being inland, away from the sea, the city does not experience the same tourist traffic as nearby Larache or Asilah. Being in the plains and not amidst the mountains means it does not experience the tourist traffic of legendary Chefchaouen. It being a smaller city, it does not experience the tourist traffic of nearby larger towns such as Tangier or Tetouan. In fact, I doubt tourists stop there at all unless they’re off course or on their way elsewhere. Looking for housing options while there showed absolutely nothing existing online. But, that’s their loss. Ksar el Kebir is a lovely little city with amazingly kind and generous people. The lack of a tourist trade was a welcome reprieve. Being obviously of European decent, tourist centers mean that I am lumped in with them and lose my sense of belonging. Though much of the city is fairly modern, it has a long history of continued habitation. Punic settlements are reported from 1st millennium BCE and apparently there was a major battle in the area during the 1500s. One of the locals, Ismail, was kind enough to take me around town. On our way, we stopped by a flag-making cooperative. The photos below show them weaving the fabric and stitching it into Moroccan flags. I bought a small one for home to represent my growing love of Maghrib. The rest of the photos are more lovely things about town. Click to make them larger or to see a slideshow. Beautiful photos and account of your travels, Tom. Keep ’em coming.